Make sure you have an active internet connection. Test this by opening a web browser to see if you can connect to a web page. Check the settings on your Windows Firewall. 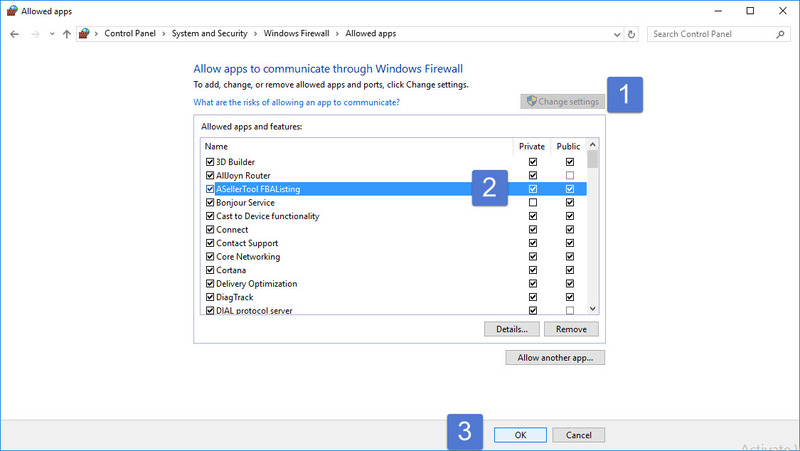 You can either disable the Firewall altogether or allow TurboLister to communicate through the Firewall. Make sure to check the boxes for both private and public networks. 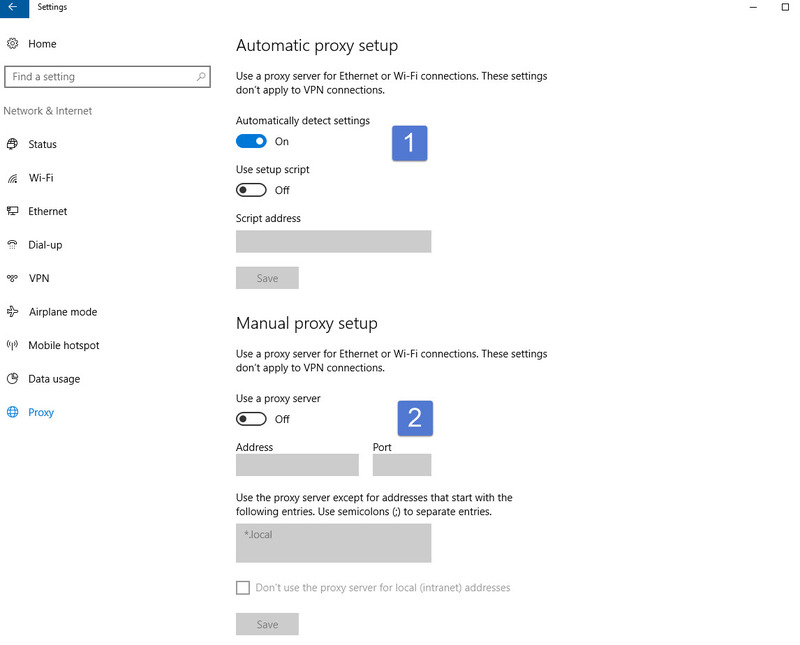 Enable a proxy server to automatically detect settings.